"The defendant was ejected from a Lower Manhattan courtroom — not once, but twice — on Monday (1-25-2010) for loudly proclaiming her innocence. And, in a separate episode between the two ejections, a spectator who pointed his thumb and index finger like a gun at the jury while mouthing an expletive was taken into custody and later released." Isnt that contempt of court or something like that? Juror intimidation? They should have kept him in custody for the remainder of the trial. The two jurors who said they felt threatened were dismissed by Judge Berman, and replaced by alternates. "The trial, which is in its second week, is taking place under heavy security in United States District Court, with a metal detector and guards at the courtroom door. Still, there have been breaches. On Monday, Judge Richard M. Berman noted some of them in explaining his ruling against a defense motion for greater public access to the court." "So far, three people have sneaked recording devices into the courtroom, said Judge Berman, adding that one audience member had even passed a cellphone, which is also banned, to a member of the defense team." "Other grounds for a mistrial cited by (defense lawyer) Ms. Moreno were beefed up security measures outside the courtroom requiring visitors to the trial to provide personal identification and sign in." "After jurors were dismissed for the day, defense attorney Linda Moreno once again asked for a mistrial, saying that the U.S. Marshals had removed Siddiqui roughly from the 'courtroom in front of the jury in a manner that 'denigrates the presumption of innocence.' The judge declined Moreno's request and said that perhaps the defense should focus more on 'reigning in' their client. 'Dr. Siddiqui doesn't talk to us,' Moreno said in reference to herself and the other members of the defense team. 'I tried to talk to her today,' said Moreno. 'She indicated if I didn't leave immediately she was going to accuse me of harassment.' "
"Now, imagine the scene being repeated in 12 or 20 or 25 more courtrooms across America simultaneously with similar high-value suspects and the jihadi dregs of Gitmo." Petra Bartosiewicz, a free lance journalist who recently published an article about Siddiqui for Harper's Magazine, is closely following the trial. Bartosiewicz is posting daily reports at Caged Prisoners. These are very detailed reports of the trial and testimonies, and you really get a feel for the craziness of the court room. As always, stay tuned. "New York Federal Court Judge Richard Berman on Monday decided that the jury selection for the trial of Aafia Siddiqui, the Pakistani neuroscientist, will begin on Wednesday, Jan 13, and the trial will begin on Tuesday Jan 19." "Dr Siddiqui is charged with attempted murder of American troops while in custody in Kabul in July of 2008. She was flown to New York in August, 2008, and formally charged." "Siddiqui had vowed at previous pre-trial hearings to ignore her legal team and demanded a meeting with US President Barack Obama about bringing peace to Pakistan and Afghanistan. 'They are not my attorneys,' Siddiqui blurted out to spectators moments after being escorted into a Manhattan courtroom Monday. 'I have fired them many times'. " Aafia previously objected to the "Jewish background" of her attorneys. Silly rabbit! Who the heck doesn't want a Jewish lawyer?! Even the ISB and MAS use Jewish lawyers! This promises to be a zoo-ey trial. Declan Walsh had a good summary of this strange case in The Guardian in November 2009. My previous blogposts on Aafia Siddiqui can be found here. "...every major security agency of the US government – army, FBI, CIA – denies having held her. Last year the US ambassador to Islamabad, Anne Patterson, went even further. She stated that Siddiqui was not in US custody 'at any time' prior to July 2008." "The truth of the matter, he (Khan) said, was that Siddiqui had never been sent to Bagram. Instead she spent the five years on the run, living clandestinely with her three children, under the watchful eye of Pakistani intelligence. He told me they shifted between Quetta in Baluchistan province, Iran and the Karachi house I had visited earlier that day." "...Khan's explanation is bolstered by the one person who claims to have met the missing neuroscientist between 2003 and 2008 – her uncle, Shams ul-Hassan Faruqi." I've read two versions of what happened to Aafia by her uncle Faruqi, and they don't quite match up either. This mystery doesn't seem to clear up, it only becomes murkier. "During a typically stormy hearing last Thursday, Siddiqui interrupted the judge, rebuked her own lawyers and made strident appeals to the packed courthouse. 'I am boycotting this trial,' she declared. I am innocent of all the charges and I can prove it, but I will not do it in this court.' Previously she had tried to fire her lawyers due to their Jewish background (she once wrote to the court that Jews are 'cruel, ungrateful, back-stabbing' people) and demanded to speak with President Obama for the purpose of 'making peace' with the Taliban. This time, though, she was ejected from the courtroom for obstruction. 'Take me out. I'm not coming back,' she said defiantly." "And so the big questions may not be probed: whether the ISI or CIA abducted Siddiqui in 2003, what she did afterwards, and where her two missing children are now. In fact the framing of the charges raises a new question: if Siddiqui was such a dangerous terrorist five years ago, why is she not being charged as one now?" Very informative article, read the whole thing! "A federal prosecutor said Monday that two psychiatrists who have examined Aafia Siddiqui, a Pakistani neuroscientist charged with trying to kill an American soldier and F.B.I. agents while in custody in Afghanistan, said she was not suffering from psychological illness that would render her unfit for trial. That assessment was in contrast to a previous evaluation of Ms. Siddiqui’s fitness." Continuation of post below. The ex-husband of captured terrorist supporter Affia Siddiqui spoke out recently about his ex-wife and children, in an interview in The International News: . "KARACHI: After six years of silence, Dr Muhammad Amjad Khan, ex-husband of Dr Aafia Siddiqui, has finally spoken up and says that most of the press reports that relate to his former wife as well as his children are false. In an exclusive talk with The News, he said that most claims are being propagated to garner public support and sympathy for Dr Aafia but are one-sided and in most instances untrue." After their divorce, Aafia would not let him see their three children. Khan was concerned that Aafia's political ambitions would be detrimental to the children's welfare. Aafia's mother lied in a sworn deposition (August 2003), stating that the FBI told the family that Aafia and the children were safe with them (FBI). Khan said the FBI told the family that they were looking for Aafia and didn't know where the children were. Aafia's uncle, S. H. Faruqi, published an article saying that he met Aafia in January 2008, her face was altered by plastic surgery and that she had a national ID card under a fictitious name. Aafia's sister Fauzia was given custody of 12-year old son Ahmad. Khan wants to know why he wasn't given custody of his own child. The family hasn't let Khan see his own son.
" 'Mata Hari' terror suspect Aafia Siddiqui is not mentally competent to stand trial, a court-appointed psychiatrist said." "Manhattan Federal Judge Richard Berman still plans to hold a hearing Wednesday to find out whether Siddiqui could participate in court proceedings on medication".
" 'Ms. Siddiqui is not currently competent to proceed as a result of her mental disease, which renders her unable to understand the nature and consequences of the proceedings against her or to assist properly in her defense,' says an evaluation performed by a federal prison doctor in Carswell, Texas." "Berman ordered the evaluation after the M.I.T.-educated neuroscientist from Pakistan failed to appear for a September court hearing in Manhattan because she was unwilling to undergo a strip search." "Siddiqui, 36, is accused of trying to kill a U.S. soldier with an M-4 rifle stolen from another soldier while she was being detained by Afghan police in July. She was shot and wounded during a scuffle." "Dr Aafia Siddiqui, now being held in a Texas facility for psychiatric evaluation to determine if she is fit to stand trial, was allowed to meet the four-member Pakistani parliamentary delegation for two hours 45 minutes on Tuesday." "Siddiqui appeared to be in much better health and physical condition than she has been since her arrest, allegedly in Afghanistan, and her removal by US authorities to the United States to face trial for attacking US personnel with an assault weapon, a story whose credibility will be tested in court. The four-member delegation from Pakistan is made up of Senator Mushahid Hussain, Sen SM Zafar, Muhammad Talha Mahmood and Saadia Khaqqan Abbasi. The four lawmakers, accompanied by Faqir Asif Hussain, counsellor at the Pakistan embassy, were able to meet Siddiqui without the presence of a US official. She was also permitted to sit next to them, instead of being separated by a partition, as is normally the case." " 'She seemed calm and composed, and her mind was active and alert,' Mushahid Hussain Syed, head of the Pakistani delegation, told Reuters by telephone from Dallas." "On two occasions when Pakistani representatives met her (August 9 and October 6), they reported that she was articulate and okay." Hmmph...calm and composed, active and alert mind, articulate. That doesn't sound like someone who is mentally incompetent to stand trial. The unfortunate aspect of this decision is that it fuels the terrorist-supporters' claims that Siddiqui was abused and tortured, which has apparently led to mental instability. This serves Al Qaeda well. I suspect Ms. Siddiqui has skillfully played her American psychiatrists. Without a trial, we may never know where Aafia was between 2003 and 2008, we may never see the evidence of her involvement with Al Qaeda. Without a trial, we don't know who's lying and who's telling the truth. Not a good development. I hope there are continued hearings on this case. My previous blogposts on Siddiqui here. "We at the US Embassy Islamabad have read with increasing concern a number of erroneous and irresponsible media reports regarding the arrest of Ms Aafia Siddiqui." "We commend the majority of Pakistani journalists for their accurate and balanced reporting and overall professionalism. Sadly, however, a few have allowed rumour, innuendo, and grossly unsubstantiated allegations to dominate their coverage." "Unfortunately, there are some who have an interest in simply distorting the facts in an effort to manipulate and inflame public opinion. The truth is never served by sensationalism; we believe your readers, as fair-minded and critical thinkers, deserve better." "Therefore, it’s high time that we set the record straight." 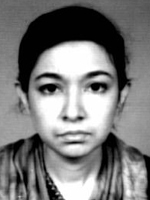 More Conspiracy Theories on Aafia Siddiqui - Al Qaeda Campaign? Is this an Al Qaeda campaign? Did Aafia Siddiqui want to get caught? Hey, why leave the conspiracy theories to the other side? 1) Aafia Siddiqui may have been in a Pakistani witness protection program, and she was outed by the "human rights campaigns" in Pakistan for her. 2) This is an Al Qaeda campaign, and Aafia is being sacrificed or made a martyr. They've sacrificing Siddiqui to "rally the troops" and create a poster child for future attacks. The timing of her capture in Afghanistan two weeks after the publicity surrounding "Prisoner 650" from Yvonne Ridley suggests that it was planned. When Siddiqui was arrested, her handbag had all manner of terrorist tools, everything except a shoe bomb and a kitchen sink, it was ridiculous! But not ridiculous if that was intentional, so that the report about her capture would appear far-fetched. The Anarchist's Manual? They must have planted the evidence! The latter theory is actually from the Jawa Report ("Did Aafia Siddiqui Want to Get Caught? "), and it seems plausible to to me. Aafia is now the poster child for poor, weak Muslim women being brutalized by the evil Americans. I question the provenance of the picture of Aafia in her blue clothes, closed eyes, chapped lips. Who took that picture and when? Where did it come from? The photo descriptor says it was taken in a US court, but articles about the August 11, 2008 court appearance say she was wearing a maroon headscarf. If anyone knows who took it and when, please let me know. We're in a propaganda war as much as a political and military war, and Al Qaeda has deftly used Western media to put out their propaganda. Aafia could be the new Mohammed al Durah, the iconic image that galvanizes protests and inspires attacks around the world. Who knows what violence will be caused in her name? The US government better get their side of the story out fast. With pictures, please. Given the high illiteracy rates in many Muslims countries, we need pictures not press releases. "Petitions, Protests and Letters do not stop our Sisters from getting raped by the Americans, their allies and the Murtadeen." "We must cut off the hands and feet of those who approach our Sisters and show them only the Mighty banner of Jihaad and Istishaad." I'm happy to see that ABC News had a reasonable in-depth treatment of the Aafia Siddiqui case, you can read about it and see the video here. According to the ABC story, government officials say that the capture of Siddiqui has led to a "potential 'treasure trove' of information on terrorist supporters, sympathizers or 'sleepers' in the United States and overseas." Hmmm, given her activities with the Boston Muslim community groups at MIT and elsewhere, maybe some people here are a bit nervous about that. MIT reported on its famous alumnus here. Note that in this article, the spokesman for the Bagram airbase explicitly says that Siddiqui was never detained there. She was treated for her gunshot wounds in July after her capture, but she was never held in detainment at Bagram. "Last week NEFA added several documents referencing Al-Qaida facilitator Aafia Siddiqui. Those historical documents have been released by the FBI, Special Court of Sierra Leone, Director of National Intelligence, and federal prosecutors." You can read these documents here. Mighty interesting, they're from a variety of sources, including the today's DOJ complaint, DOJ press releases, a Special COurt in Sierra Leone (Siddiqui was believed to evaluating smuggling diamonds from Sierra Leone to support Al Qaeda), Director of National Intelligence biographies of AL Qaeda operatives, testimony before a U.S. Senate Subcommittee on Huamn Rights, and a filing from the Care International trial in Boston. Did You Know Aafia Siddiqui? "I'm the author of the Vogue profile of Aafia Siddiqui that you mentioned in a recent blog. I'm now working on a book about women and the war on terror that will include at least a chapter and maybe more on Aafia. I was fascinated by the mention of Aafia speaking at the ICNE Halaqas. I would be extremely eager to talk to your sources on that or any other matter concerning Aafia and her circle of friends. Please feel free to pass this message and my email address (deblane@msn.com) along to anyone you feel might be helpful - or simply to post it on your blog!" Readers, if you knew Aafia Siddiqui back in her Boston/MIT days, or her friends and associates, please contact Deborah directly. Thanks in advance. "The past six years and the continued viral spread of transnational global Jihad have proven that we are fighting neither a tactic nor a single organization or network. Our enemies metastasize every day because we have yet to mount an offense against the primary cancer cells – the ideology of political Islam and its goals of the theocratic Islamic state." "Until we, as a nation, collectively engage in this ideological struggle for liberty against the Islamists, our security agencies and our troops will continue to chase their tails. The Islamist terror cells will continue to regenerate. When it comes to Islamism, did we forget that the cornerstone of our nation is political and ideological debate? Our Public Diplomacy program and our domestic engagement of Muslims should be a clinic in the ideological counters to every nation’s Muslim manifestations of political Islam – including our own." "We cannot allow a political ideology to avoid effective deconstruction simply because it masks itself behind a spiritual path. Ultimately, anti-Islamist Muslims who advocate liberty for all and advocate the separation of the practice of their faith from the administration and laws of government will be the only effective weapon against our enemies." "The process of settlement [of Islam in the United States] is a "Civilization-Jihadist" process with all the word means. The Ikhwan must understand that all their work in America is a kind of grand Jihad in eliminating and destroying the Western civilization from within and "sabotaging" their miserable house by their hands and the hands of the believers so that it is eliminated and God's religion is made victorious over all religions. Without this level of understanding, we are not up to this challenge and have not prepared ourselves for Jihad yet. It is a Muslim's destiny to perform Jihad and work wherever he is and wherever he lands until the final hour comes, and there is no escape from that destiny except for those who choose to slack." "The entire 18-page platform outlines a plan for the long haul. It prescribes the Muslim Brotherhood's comprehensive plan to set down roots in civil society. It begins by both founding and taking control of American Muslim organizations, for the sake of unifying and educating the U.S. Muslim community – this to prepare it for the establishment of a global Islamic state governed by sharia." "....The HLF trial is exposing for the first time how the international Muslim Brotherhood – whose Palestinian division is Hamas – operates as a self-conscious revolutionary vanguard in the United States. The court documents indicate that many leading Muslim-American organizations – including the Council on American-Islamic Relations, the Islamic Society of North America (ISNA) and the Muslim American Society – are an integral part of the Brotherhood's efforts to wage jihad against America by nonviolent means." "The Muslim Brotherhood is an affiliation of at least 70 Islamist organizations around the world, all tracing their heritage to the original cell, founded in Egypt in 1928. Its credo: "Allah is our objective. The Prophet is our leader. Quran is our law. Jihad is our way. Dying in the way of Allah is our highest hope." Sayyid Qutb, hanged by the Egyptian government in 1966 as a revolutionary, remains its ideological godfather. His best-known work, Milestones, calls for Muslims to wage violent holy war until Islamic law governs the entire world." And the MB's expanding control of Muslim organizations goes on under our noses. Just this week, this flyer (click to enlarge) was circulated on the Boston Muslim American Society (MAS) e-mailing list, publicizing a fund-raiser for the Islamic Society of Boston (ISB) and MAS. The ISB calls itself a religious organization, but in actuality, the ISB leadership is joined at the hip to the MAS, an overtly political organization. Anti-US government, anti-Israel, pro-Sami Al-Arian, pro-Hamas, pro-Salah Soltan, pro-Yusuf Qaradawi, a Salafi/Wahabi outlook through-and-through. Solomonia has done a great job of tracking MAS's politics in his feature, MAS Watch. And yet here they are, running the show at the Islamic Society of Boston. Why does this small, select group of people claim speak for "the Muslim community" in Massachusetts? Who elected them? Who put them in charge? Who do they answer to? Why aren't they scrutinized like other political organizations are? "...As long as they commit no crimes, CAIR, ISNA and the other Brotherhood-related groups have the right to advocate for their beliefs. But they don't have the right to escape critical scrutiny, and they deserve informed opposition. Courageous Muslims like Dr. Zuhdi Jasser of the American Islamic Forum for Democracy are sounding the alarm about radical Islam's stealth takeover of U.S. Muslim institutions. Why are the news media ignoring this? Fear of being called Islamophobic?" Are you for a separation of church and state? Do you reject political Islam? Do you reject the implementation of sharia law? Do you believe in the equality of all peoples? Do you want to live in a multi-religious, pluralistic society, or do you want Islam to dominate? Do you support freedom of conscience and freedom of religion, including the freedom to leave Islam or to be non-religious? Do men and women have equal rights? How many paying members do you have? What is the background, training and former positions of your directors and trustees? Feel free to add your own questions to the list. "The leader of the Boston Muslims is projected to be Imam Shiekh Alhaj Basyouny Nehela. (The man in the red cap.....your earlier blog). The questions to him are:"
"1. Did you participate heavily in the elections (for years) of Islamic Center of New England by taking bus and van loads from Cambridge? (People have pictures and movies of it). 2.When was the last time you held elections in your own Mosque? 3. What was your relation to the Saudis(now gone) who were at Cove apartments in Quincy and for whose children the school was started at the Islamic Center of New England and what financial relationship you had with them? (Their money did not pass thru the accounts of ICNE). 4.What was your relationship with Imam Khalid Nasr before he came to Quincy? 5.Why you do not release your complete biography? 6.What was the Mosque you worked at(at least that is what you tell people) from 1987 to 1997? What were your political affiliations during this period? 8. Is Sister Sophia your wife? Is she the person who holds Halaqa at the ICNE Sharon for Arab only ladies on Monday mornings (has done so for years.... even when Aafia Siddiqui used to come to the Halaqas and at times address them)? Is there any paper, any board decision that such activity takes place at the ICNE Sharon? Why is it not advertised on the ICNE web site?" Pointed questions! My favorite kind. Oh yes, this former Boston area scientist (she attended Brandeis and MIT) and mother of three, is on the FBI "Seeking Information" list (she was on their Most Wanted List for some time). Vogue Magazine (of all publications!) wrote about this possible "top Al-Quaeda terrorist" in their March 2005 issue (copy posted here). 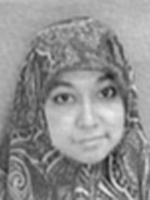 According to the author, Siddiqui was "drawn into the world of terrorism...through the contacts and friendships she made in the early 1990's working for MIT's Muslims Student Association."